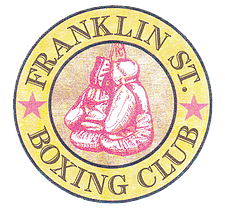 Franklin Street Boxing Club is one of the best reviewed boxing gyms in Chicago. The gym’s partners, Ray Pace and Jimmy Mango, have been training all types of fighters for a combined 30+ years of experience. Both have notable amateur careers. Jimmy was a Golden Gloves Champion in his youth, while Ray was voted the Chicago City Championships “Most Exciting Fighter” in 1976. Franklin Street Boxing trains all types of clients, men, women, children, pros and amateurs of all disciplines and backgrounds who rely on our trainers’ decades long experience.